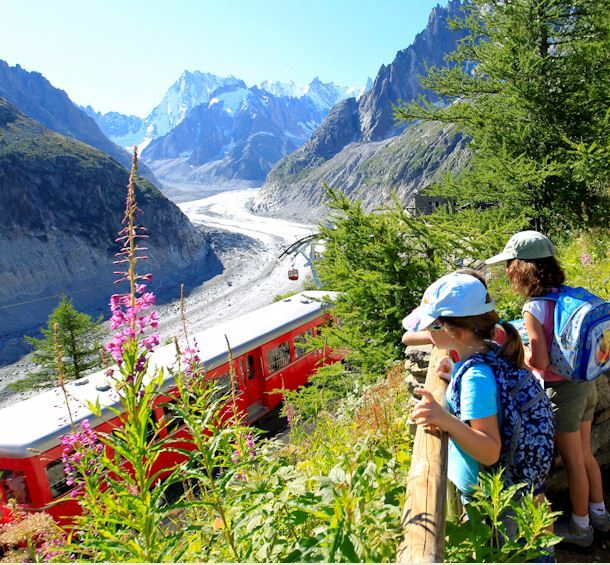 This site is published by Office de Tourisme de Chamonix Mont-Blanc (the Tourist office of the Chamonix Mont Blanc region). Insofar as possible, the Office de Tourisme de Chamonix Mont-Blanc checks the truthfulness and conformity of the messages and elements appearing on its website before publication. In this regard, it has only a simple obligation of means and can under no circumstances guarantee the truthfulness or reliability of its website’s information and content. It does not guarantee the quality of the products, information or any other elements presented, bought or obtained by the effect of an advertisement or of any other information or offer understood to be in indirect or direct relation to its website. The Office de Tourisme de Chamonix Mont-Blanc reserves the right to improve or correct all or part of its services or elements appearing on its site at its sole discretion and without obligation. It does not guarantee that its website’s services will be ensured without interruption or error, or that any defects will be corrected. It also provides no guarantee and declines any responsibility in the event that viruses or any other elements that might be damaging to the user are present. The user has been asked to take cognizance of this preliminary warning before consulting the website and is therefore presumed to be perfectly informed of this warning and adhere to it without any reservations. - presenting any qualified offer in its zone of activity for all clienteles. - making sure the local tourist offer is reliable and up to date. You don’t have to ask before setting up a hypertext link to www.chamonix.com. - does not concern downloadable documents (pdf, videos and images). In such cases, please point the link to the web page that links to it. The existence of hypertext links referring to other sites is not a guarantee of content quality or good operation of these sites. The liability of the Office de Tourisme de Chamonix Mont-Blanc cannot be engaged as concerns the content of these sites. Web surfers must use this information with the usual precautions. The photographs illustrating this site are signed. They may not be reproduced without our approval. Please request our approval by email at presse@chamonix.com specifying the use you want to make of them. The Office de tourisme de Chamonix-Mont-Blanc is not the publisher of the weather bulletin and accepts no responsibility as to the correctness of the weather information communicated on its site. Any reproduction of this bulletin, even if partial, requires the permission of the Office de tourisme de Chamonix, which issues the said bulletin, of the publisher, Météo France. The entire online reservation part is subject to the legal terms of our partner, Alliance Réseaux, which can be consulted here. All the virtual visits are subject to the legal terms of our partner, Virtualp view, which can be consulted here. All the Instagram pictures with some hashtags in relation with the Chamonix-Mont-Blanc Valley can be selected and shown on our websites. These photos are subject to the legal terms of Instagram, which can be consulted here.